Following the deadly massacre that took place at the Marjory Stoneman Douglas High School in Parkland, Florida, new details emerged about a deputy who failed to intervene and possibly save lives. The deputy was formerly a part of the Boward County Sheriff's department. 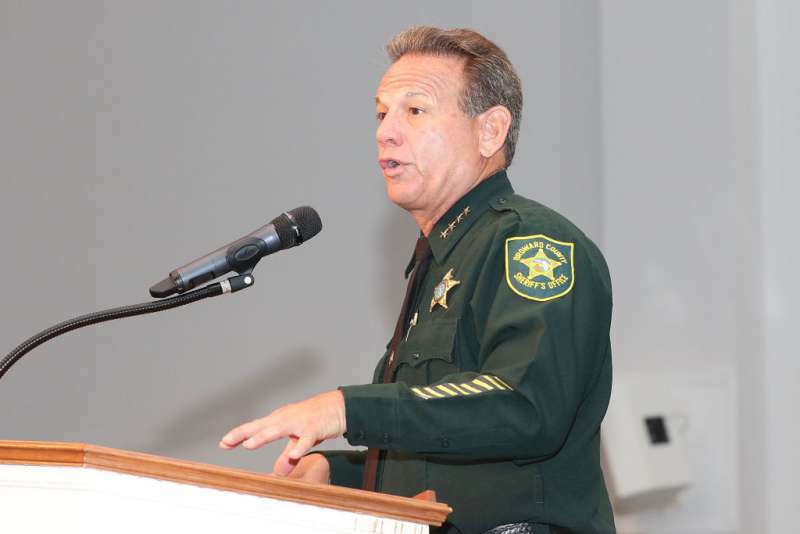 The sheriff, Scott Israel, accused Peterson of not doing something to stop Nikolas Cruz, the alleged school shooter. In a press statement, Israel said Paterson was in uniform and was very well aware that a shooter was on the loose, but he did "nothing" to save lives and possibly prevent things from escalating. The Media IMMEDIATELY shows the pictures of school shooting MASS MURDERERS. Israel explained that a security footage showed that Peterson arrived "at the west side of building 12, take up a position and he never went in." The sheriff said knowing one of his deputies was not brave enough to challenge a shooter was a disappointment. [He should have] went in, address the killer, kill the killer! Sheriff Israel announced during the press conference that after seeing the video and hearing statements from witnesses, even those from Peterson himself, he decided to place the deputy on suspension without pay pending an internal investigation. “Devastated... Sick to my stomach..” @browardsheriff @ScottJIsrael of Deputy Scot Peterson, who was on-duty at #MarjoryStonemanDouglas campus during the shooting and “never went in”. It seemed Peterson was not very accepting of this decision because according to Israel, "as is his right, Scot Peterson chose to resign." The sheriff said that investigations would still continue. It was reported that Peterson had been a resource officer at the school since 2009. While some people were of the opinion that Peterson's choice not to challenge and stop a shooter was cowardly of him, others believed that it was a human mistake, and sometimes, purposely stepping into danger may be difficult to do. Many shared their views on Twitter. I cant imagine what he was thinking , it blows my mind . There is not a coward bone in my body, I would have attempted to stop the shooter even as a unarmed student. I guess I lived in another generation . Never had I learned to run and hide as a defense . Bobblehead, I recently retired from the Broward Sheriff’s Office and am a close friend of Dep. Peterson. He should not be the scapegoat of this tragedy. I wish I could expand on BSO and their training. A cop with a handgun has to assess a situation with a guy with an AR-15. Just SAD! the law enforcement FBI Failed! Scott Peterson Officer Failed! The Coach that confronted the killer saved lives but is dead. Maybe if the Coach had a gun he would still be alive. Still be protecting his students as if they were his on for generations. This man is not obligated to die! Where were the cops on Columbine or Vegas. This man chose to live. What do you think? Was Peterson a coward for running from danger or was his decision a smart one?